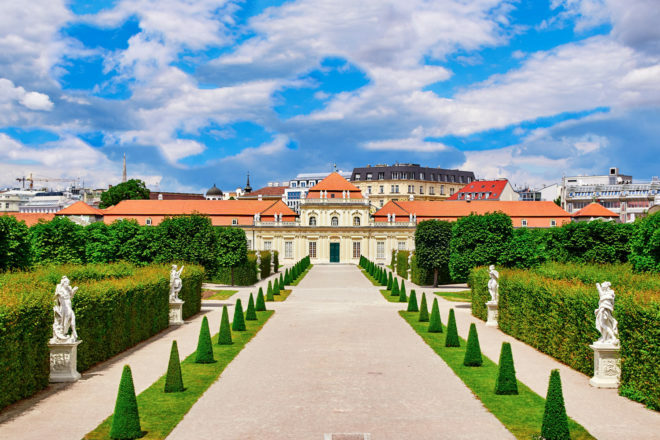 Insider’s guide to Vienna in Austria, ranked #25 in our countdown of ‘100 Most Incredible Cities in the World’. Enjoying the local wine during spring and summer is a true Viennese experience. It helps that the wine often costs less than $3 a glass and is unlikely to give you a headache the next day, especially if consumed with some of the traditional food on offer. I recommend Weinbau Hermann and Heuriger Leitner. With a small tributary running through the city centre, the Donau is a popular place to hang out, especially during the summer months where there are a number of beach bars to enjoy (try Tel Aviv Beach Bar). A man-made island separates the Donau just to the north of the city, forming a 21-kilometre stretch of parkland from where you can swim. Alte Donau (Old Danube) has picturesque swimming and grilling spots. This district is the epitome of cool; it’s an edgy place with an abundance of small independent boutique shops, bars and restaurants. The Inner Ring is where to tick off the sights. You don’t need a map; just wander, explore and enjoy. Stop by Cafe Europa – it always has a good vibe. This quarter, 60,000 square metres in fact, is where world-class museums lie within walking distance of each other. In the winter months it doubles as a Christmas market, while in the summer, it’s a meeting place for the city’s youth, where on any night of the week you will find people sitting around talking and relaxing. Check out Leopold Museum’s exhibition of Viennese Art Noveau, led by its huge collection of Klimt. It also doubles as a wicked hip hop bar on weekends!